Arngask Church is a Church of Scotland church and one of the two churches that serve the Parish of Abernethy & Dron & Arngask. We are a vibrant, friendly congregation and would welcome you to come and share in worship with us, whether a resident or a visitor. Our minister is Rev. Stan Kennon. These are always at 11:00 and alternate between the two church buildings. 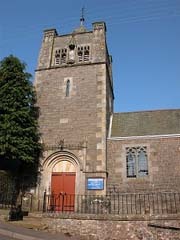 The Church of Scotland is the national church of Scotland. With more than 600,000 members, the Church welcomes all from around the world so whether you live in the area or are just visiting, why not come along this weekend and join us in worship. We look forward to seeing you.